By Diana Ihring, REACH Migration Assessment Manager. In May 2017 almost 23,000 migrants reached Italy, this month less than 4,000 migrants are recorded to have arrived in Italy from Libya, an almost six fold decrease. This drop coincides with a number of measures the EU and EU member states implemented together with the United Nations backed Government of National Accord in Libya and neighbouring Niger to stem the arrivals of migrants in Italy. Some of these include a Memorandum of Understanding signed between Italy and Libya’s UN backed government to improve border security along Libya’s western coast and southern borders, border management capacity building trainings for Libyan security and coast guards, and support in the return operations for refugees and migrants to their areas of origin or third countries. Yet, these numbers only tell part of the story. In a recent study conducted by REACH in Libya, we found a nuanced picture of the impact of EU migration measures on the migration routes and trends. Our findings raised clear concerns regarding both the protection of migrants in Libya and the likely longevity of the effects of the imposed measures. The study is based on 75 in-depth semi structured individual interviews with migrants outside detention centres across the country and 32 key informant interviews with smugglers, law enforcement officials and civil society activists. Individuals were asked to reflect about their living situation and mobility in the country and how it changed since early 2017. Further longitudinal analysis on changes in routes, entry and exit points since early 2017 was conducted on the basis of comparable information REACH had collected in the framework of a partnership between IMPACT, Altai Consulting and UNHCR in late 2016 and early 2017. The first main finding relates to migration routes and the emergence of new smuggling hubs in Libya. Our findings suggest that migration measures implemented in Libya since early 2017 have led to a multiplication of smuggling routes to and within the country and the emergence of new smuggling hubs. Entry points into Libya along the southern borders have diversified with refugees and migrants increasingly arriving from Algeria and Chad. At the same time, departure points along the coastal area have multiplied with a particular increase in smuggling hubs along the eastern coast, compared to the well-patrolled western coast. Rather than a crackdown on migration, this suggests that migrants are still arriving in Libya, albeit in different, and more dangerous, ways. The second finding relates to the security situation for migrants in the country. 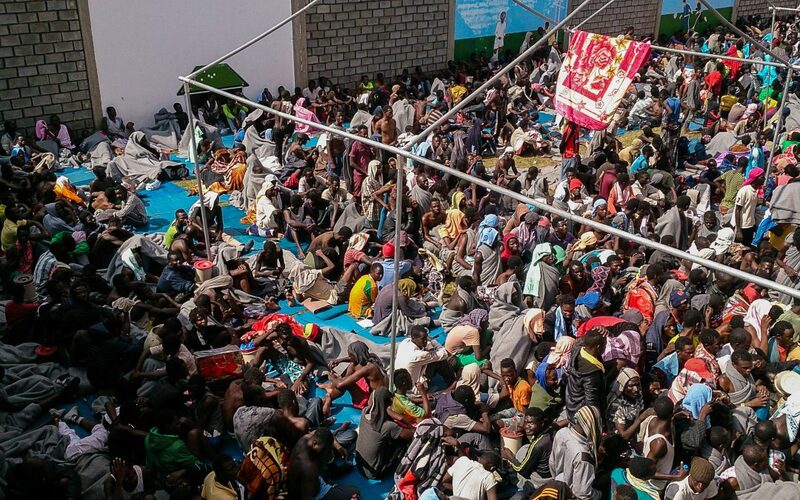 As accounts of slave markets, arbitrary detention, systematic exploitation and kidnapping by militia groups suggest, Libya is not a safe country for migrants. Indeed, among migrants interviewed in Libya aiming to stay in the country for work, the vast majority reported that their situation had remained unchanged since the implementation of EU migration measures. Most migrants reported avoiding movement in order to minimise their exposure to risks, such as armed robbery and kidnapping. Migrants aiming to transit to Italy were found to be held for prolonged periods of time in warehouses and secret accommodation sites along the coast. These migrants were hiding from coast guards in poor conditions waiting to be transferred to the boats. The third finding relates to the level of information migrants have on the situation in Libya and the measures implemented to dissuade migrants from embarking on the journey to Italy. Respondents reported being well informed about the poor security situation in Libya and the measures imposed to curb their movement. However, none said that this knowledge dissuaded them from coming to Libya. Also, while most reported being aware of the return operations put in place for migrants, only few noted this influencing their decision to leave their country of origin. These findings suggest is that as smuggling routes diversify, migrants in the country remain increasingly hidden with limited freedom of movement. The overall living conditions for migrants have not improved. Albeit risks, poor conditions, and migration measures implemented in the country, migrants still want to reach Libya. ECRE publishes op-eds by commentators with relevant experience and expertise in the field who want to contribute to the debate on refugee rights in Europe. The views expressed are those of the author and does not necessarily reflect ECRE positions.